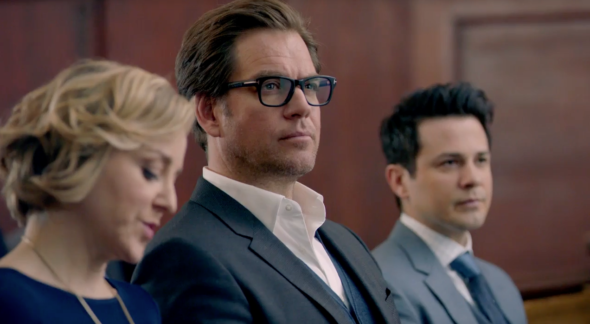 “You’re a con man, but you haven’t conned me.” CBS has released the first trailer for their new series Bull. Based on the early career of Dr. Phil McGraw, the drama stars NCIS‘ Michael Weatherly as Dr. Jason Bull, a charming psychological expert and trial consultant. Freddy Rodriguez, Geneva Carr, Chris Jackson, Jaime Lee Kirchner, Annabelle Attanasio also star. Bull is slated to premiere this fall. What do you think? Are you a fan of Michael Weatherly? Will you watch Bull? More about: Bull, Bull: canceled or renewed?, CBS TV shows: canceled or renewed? Bull: Cancel or Keep the CBS TV Series? Bull: Cancel or Keep the New CBS TV Show? Can’t wait! Love Michael so am excited about this opportunity for him. Won’t leave NCIS cus I love the whole crew!